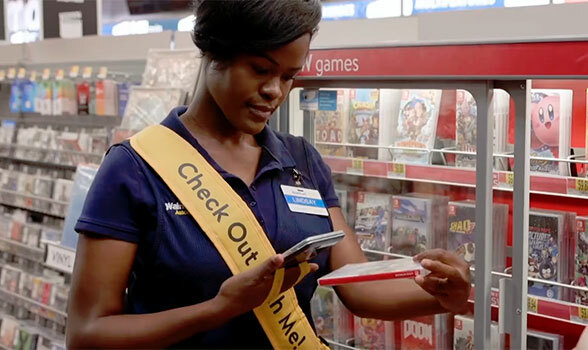 Walmart is expanding its Check Out with Me service to all its 3,000+ Supercenters across the US “just in time for the holidays”. The move follows a successful rollout of mobile POS devices at the retailer’s US garden centres earlier this year. “Check Out with Me is expanding to every Supercenter by Black Friday,” the retailer says. “Walmart is positioning associates in the busiest areas of its stores, like the garden center, electronics or in action alley, so customers can bypass regular checkout lines and pay for everything right in the department they are shopping. The move is part of a series of digital enhancements the retail giant is rolling out in time for the peak holiday shopping season. The Walmart app, for instance, has been upgraded with a store map function while the Walmart.com website has been refreshed with a new deals hub and a free two-day shipping offer. “Every day we’re committed to providing customers with the broadest assortment of quality products at great prices, but, during the holidays, we take that promise up a notch,” says Steve Bratspies, Walmart’s US chief merchandising officer.